They say Christmas is the time for giving, so HEXUS is going competition crazy! For our latest giveaway, we've teamed up with Philips and Nvidia to give two lucky readers the chance to win an awesome G-Sync gaming bundle! 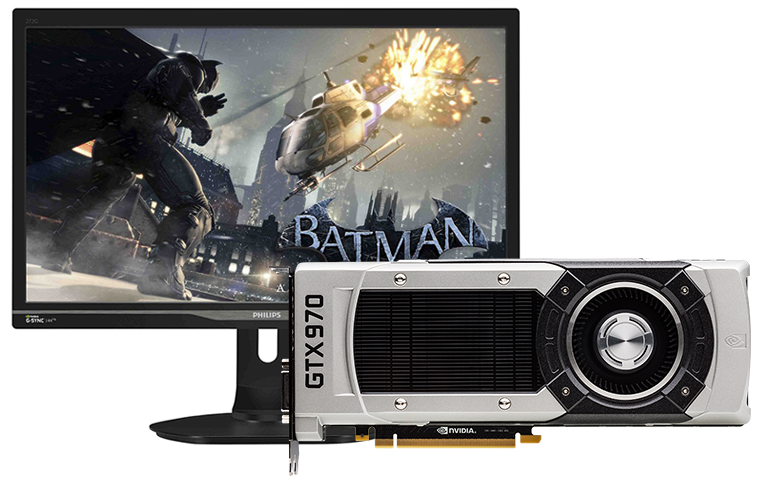 Up for grabs is a silky-smooth 27in Philips Brilliance LCD monitor with a 144Hz refresh rate and Nvidia G-Sync technology, and to help you get right into your favourite game, we'll also include an award-winning GeForce GTX 970 graphics card! And don't forget, we have two of these amazing bundles waiting to be won! This is a competition not to be missed, so what are you waiting for? Answer the following simple question to be entered into our prize draw, and don't forget, you can also claim a free second entry via Facebook to increase your chances! The competition winner will be picked at random from all eligible entries that arrive by midnight of the closing date, January 19, 2015. The winners will be notified via email by January 26, 2015. The winner must claim their prize within 7 days of the promoter sending notification. If the prize is unclaimed after this time, HEXUS reserves the right to offer the unclaimed prize to a substitute winner selected in accordance with these rules. The prize is one of two G-Sync gaming bundles, each including a 27in Philips G-Sync monitor (model 272G5DYEB/00) and an Nvidia GeForce GTX 970 graphics card. Comps still running on top of the daily giveaway? Sweet! Philips one of the best no secret just the truth!